Arnold Kegel (1894 – 1981) identified the link between the diagnosis of urinary incontinence and prolapse, specifically following childbirth, and weakness, damage or atrophy in a muscle that we now refer to as The Pelvic Floor Muscle or Pubococcygeus (PC). Most crucially, he established that, with the correct exercise, this muscle could be restored to a healthy, well-toned state and the symptoms of incontinence and prolapse could be relieved. Arnold Kegel first introduced a simple, effective clinically proven treatment for weak pelvic floor muscles in 1948 but his work was largely ignored. The first recorded use of the phrase ‘Kegel Exercises’ is in 1975 (Merriam-Webster online dictionary), nearly 30 years after his principles were first documented in the medical literature. The basic principles identified by Arnold Kegel were fundamental to the success he achieved but the exercises that now bear his name, as promoted by health professionals and the media, bear no relationship to the rigorous techniques he originally identified. As a result, millions of women suffer the long term consequences. • development of the pubococcygeus so that weak and irregular contractions became strong and sustained. • the vaginal canal became tighter and longer. • previously flaccid vaginal walls improved in tone and firmness. • bulging of the anterior vaginal wall (often diagnosed as ‘moderate cystocele’) becomes less pronounced. • prolapse of the uterus, when present, was usually improved and in some instances the cervix ascended from being adjacent to the vaginal opening to as high as 5 to 7 cm. above the opening. All this could be achieved with the basic principles of effective training, visual feedback, resistive exercise and intense repetition over time. 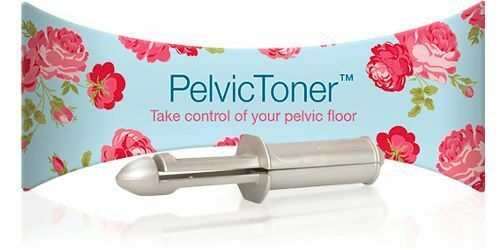 • The PelvicToner helps you confidently identify the correct muscle to squeeze and it provides a constant and clear feedback that you are squeezing the correct muscles throughout your exercise. • When you are exercising with the PelvicToner you are squeezing against a mild resistance to make the exercise as effective as possible.